In our house, we are avid readers, Henley included. We read so many books with her each day (I'm talking ten or more books), that they tend to get old. We have shelves and baskets of her books in nearly every room of the house, and they are all well loved. I am thrilled that she loves to read, not only because it is something that I have loved from the time I was her age, but because I know it does wonders for her language skills. 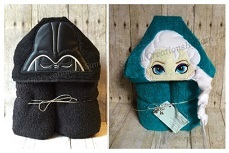 Another thing I love...subscription boxes. I currently subscribe to two for myself and I love the thrill of getting surprises sent to you each month. So, last week, when I happened upon a new subscription box, The Story Box, while perusing Instagram, I was so excited! 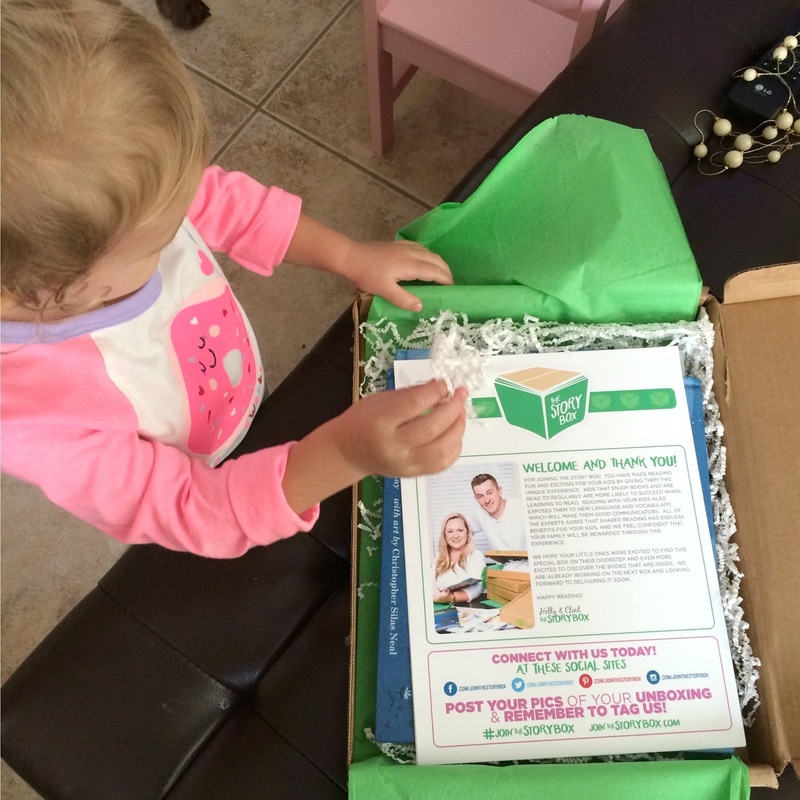 The Story Box is a subscription box for young children (ages 1-7) that was created by a speech-language pathologist and her husband, and includes two books and a learning guide to go along with them. When The Story Box arrived today, I couldn't wait to open it! The packaging was neat and fun, and Henley was excited about it too. The books were carefully wrapped in tissue and fun crinkle paper, and sealed with a note. Inside, there is a note from the creators, Holly and Clint, and a general guide on how to read and involve your child(ren) in any story at a variety of ages (baby, toddler, preschooler, or early elementary). I found this interesting, and a great reminder to not just read to my little one, but to ask her questions and involve her in the story more. Then, onto the books! Included are two quality, hard cover books (not board books, these have paper pages), and this month, the books were Outside by Deirdre Gill and Go to Sleep, Little Farm by Mary Lyn Ray and with art by Christopher Silas Neal. Both books were right up Henley's alley. As most toddlers do, she loves animals and Go to Sleep, Little Farm has a bunch of them in it. She really liked going through and naming each one, making its noises, and saying goodnight to them. In Outside, there is a little boy playing in the snow, which Henley is also obsessed with right now. 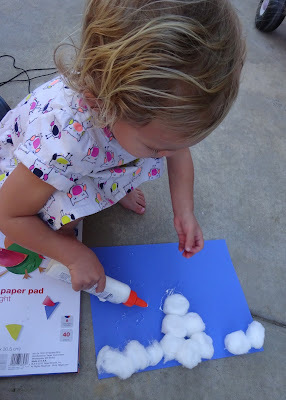 Thanks to Frozen and last month's Frosty the Snowman on repeat, she is always saying that she wants to build a snowman. This book was a hit with her, too. Also included in The Story Box is a parent guide to go with each book. It gives you a language concept to work on at each age group, along with an activity you can do to correspond with the story. 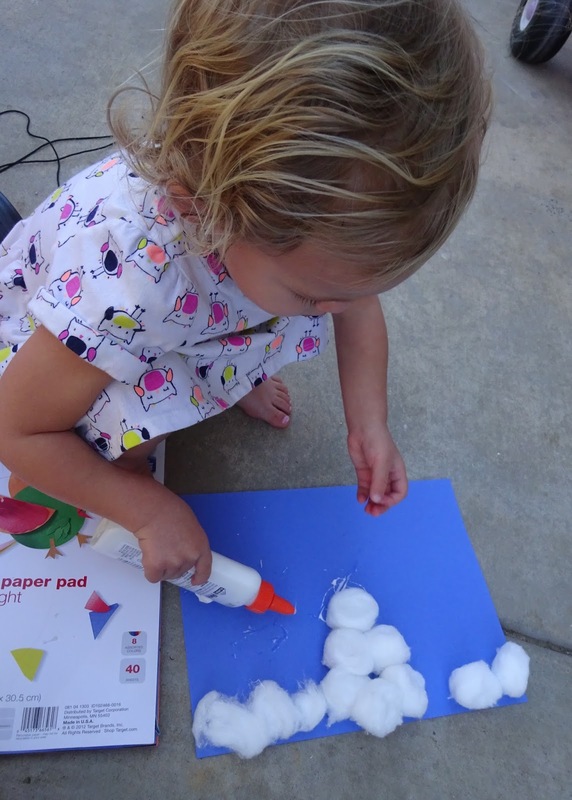 For example, with Go to Sleep, Little Farm, it suggests to introduce prepositions to your toddler and as an activity, gives a recipe for a puffy paint mixture to make a moon painting. I know Henley will love that! Since there are concepts and activities suggested for each age group, you can keep these guides and use them as your child grows. Overall, I was really impressed with The Story Box and I am looking forward to seeing what books they will ship out next! I was also impressed to see that a portion of each sale goes toward materials for children with disabilities and from low income families. I always am more inclined to purchase or partake in something when it goes toward a good cause! 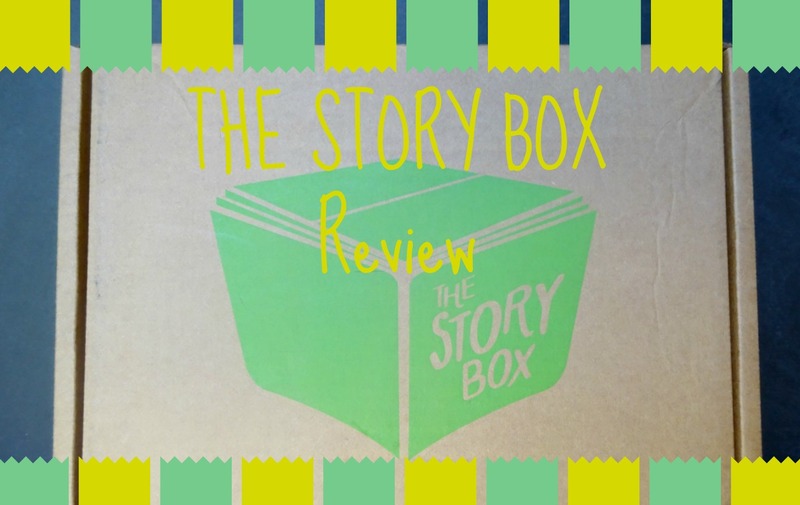 If you love reading like we do, and are looking for something new to try or new ideas for learning with your littles, check out The Story Box! Holly and Clint have been so kind to share a coupon code with my readers, so make sure to enter TAKESIX at checkout and get $6 off of your first order! I hope you love it as much as we do!